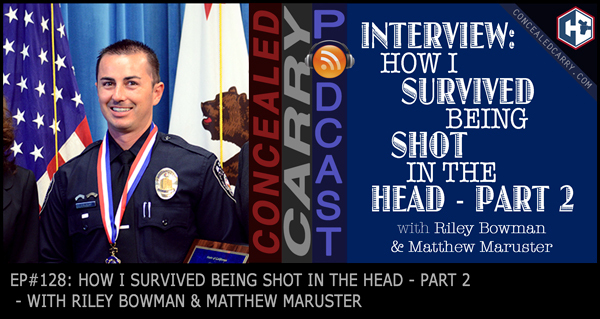 Riley and Matthew Maruster conclude the second half of the interview together with Jarred Slocum, a former police officer with El Cajon Police Department a suburb of San Diego, California. In August of 2011 Jarred was shot in the head responding to a suspected domestic violence situation. Luckily he survived to tell the story which we had the exclusive privilege of bringing to you today through the Concealed Carry Podcast. There are many lessons to be learned from fateful incident. Hopefully this will give you some needed information that could save your life! Press ‘PLAY' above to listen now!